Russia is rising as one of the top destinations for medical studies among international students. Majority of students across the globe prefer to study MBBS in Russia. Russian medical universities are known globally for their academic excellence. Russia has some of the best medical colleges in the world, 30 positions within the World ranking grabbed by Top Russian Medical Colleges. Russian medical colleges are well equipped with the most modern teaching aids and laboratories, facilities that are best in the world that aids such research endeavors. 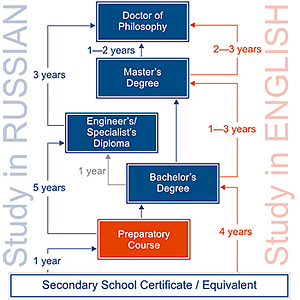 The Russian education system today is considered one of the strongest wings to its quality of faculty. The universities have highly trained and qualified faculty who have gained immense knowledge in their field of medicine. This is one of the major reasons why a large number of Indian students prefer to study MBBS in Russia. Why MBBS in Russia ? For MBBS in Russia, As a student, you will always consider the place that offer the best in terms of medical courses and fee structure.